The Squamish Rafting Company proudly operates world-class whitewater, float and family adventures year-round in the heart of Sea to Sky Country. Their professional guides bring a wealth of knowledge from rivers around the world and hold the highest level of First Aid & Swift Water Rescue. With them at the helm, Squamish Rafting Co. guarantees a fun, safe and memorable trip no matter your experience level. In Squamish, fall months bring thousands of spawning salmon to our rivers and winter welcomes the largest gatherings of bald eagles in the world; with spring comes the awakening of local wildlife and the impressive display of snow-melt waterfalls cascading down from our mountains. Witness these natural phenomena, sip on a hot chocolate, and float down-river with Squamish Rafting for an unforgettable tour that will connect you with the cycle of life. Plan to snuggle up by the wood burning fire and enjoy a hearty lunch at their cozy wilderness base afterwards too. In the summer months, Squamish Rafting offers rafting adventures to suit both families and thrill seekers. Choose the exhilarating waters of the pristine Elaho Valley where you'll experience exciting Class 3 & 4 rapids, a gourmet BBQ lunch, hanging glaciers, towering mountains, lush rainforest and even a cliff jump if you dare! 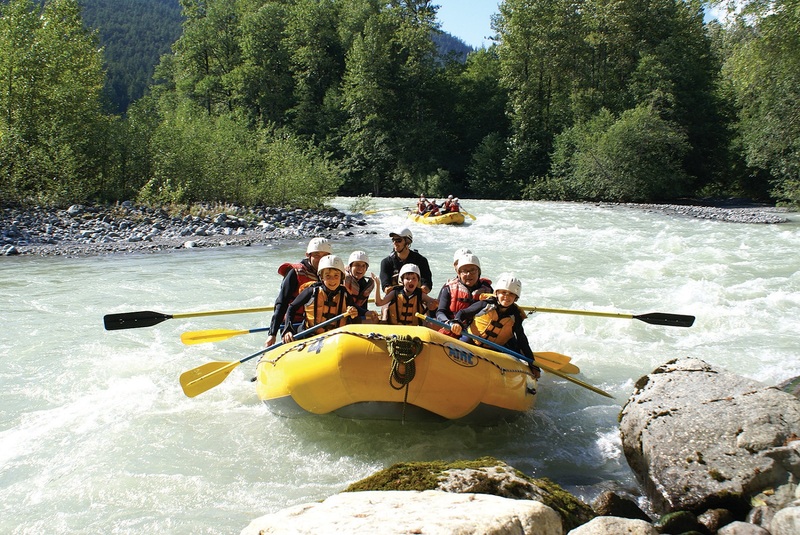 Or, opt for the fun, bouncy Class 2 rapids of the Cheakamus River where you can take in views of Mt. Garibaldi and the beautiful Paradise Valley along the way. Here you can play raft games with your crew and enjoy and a riverside snack while keeping an eye out for local wildlife like playful harbour seals.